Landmine detection methods have not evolved since the days of World War II, and removal remains a dangerous and costly endeavor. 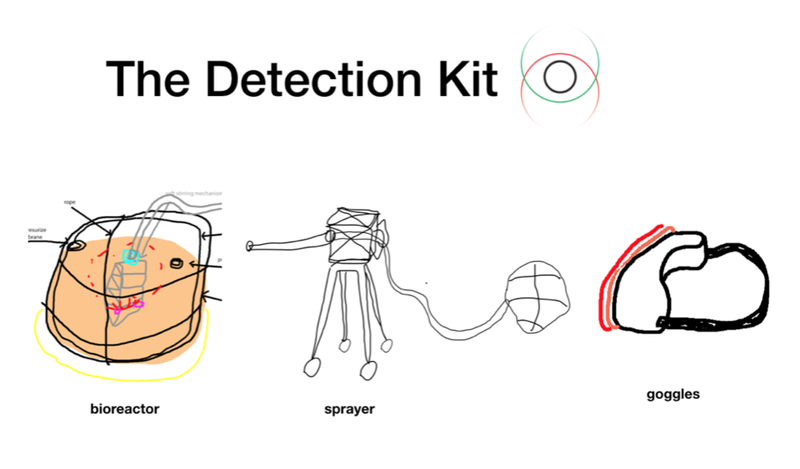 Microbial Frontline Recovery proposes a series of kits using microbes to locate landmines and unexploded munitions left after military conflicts. These kits use biosensors to detect landmines using bioluminescent bacteria and then apply bioengineered bacteria to buried landmines to neutralize their explosives and also recover the soil damaged by the chemical leakage from the mines.